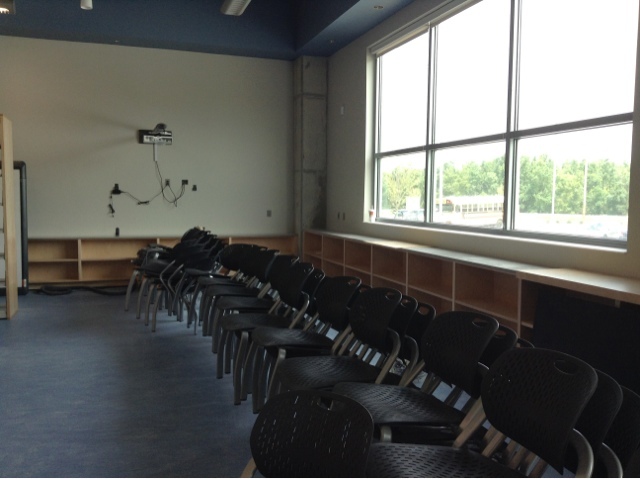 New school is almost there, but ready or not school will open in August. There are workmen everywhere completing the last details. All of the teachers' boxes are sitting in the classrooms ready to be unpacked. 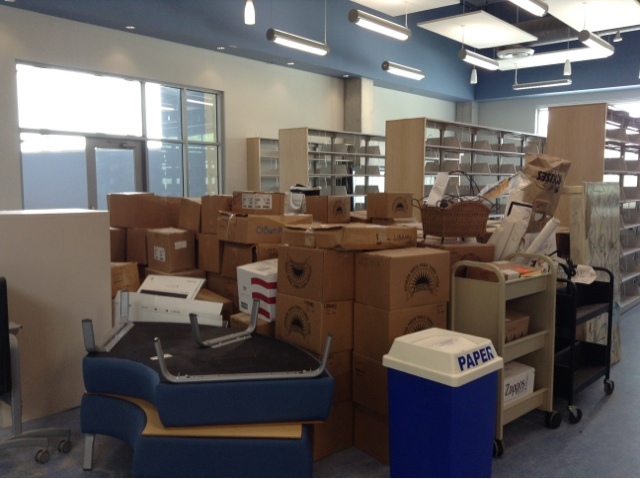 All the new furniture is stacked up ready to be used by students on the first day of school. 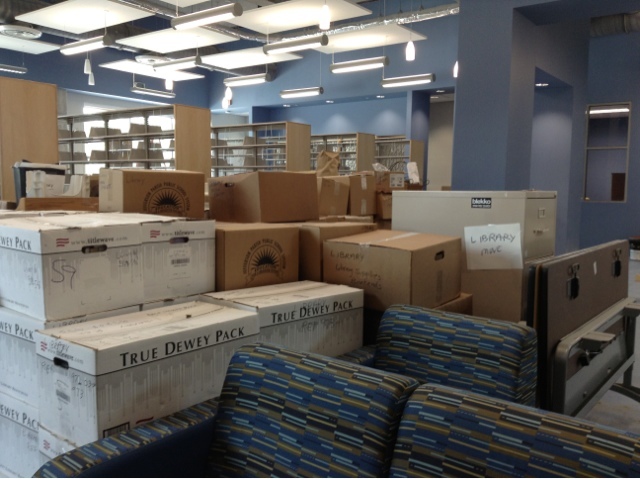 As you can see by the picture above, all of my stuff is there ready to put away in the new library. 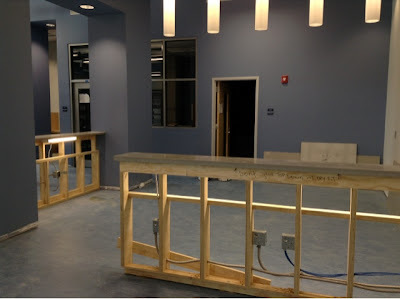 This is going to be the teaching area in the library. The interactive white board is going to be placed on the wall where you can see the electrical drops. There are shades that will block out the sun on the windows. 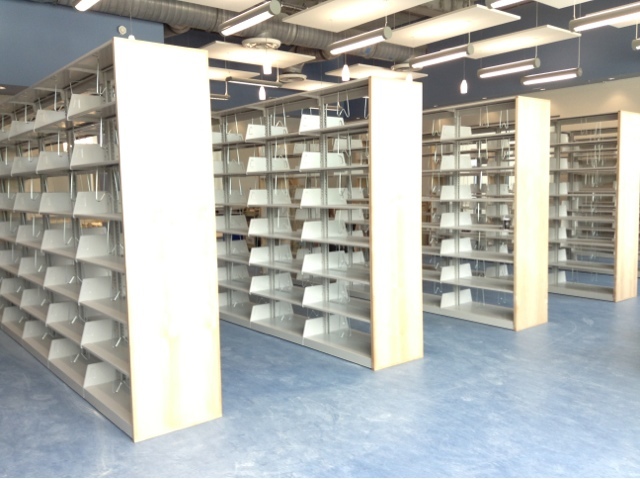 The rows of shelving take up the middle of the library. In front of this screen wall will be the library computers. 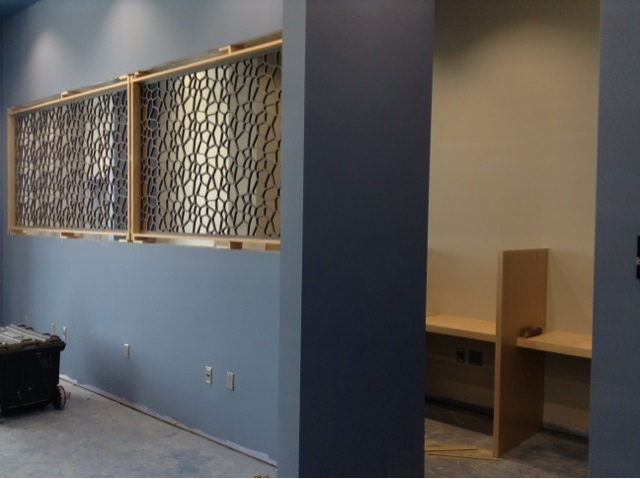 Behind it will be study carrels. This is going to be the circulation desk area. The open door is the storage area, and the door on the left is my office. The office is completed with furniture installed and stacks of mail on my new desk. I was standing in one corner of the library when I took this picture. School begins on August 9th. Even though everything will not be unpacked by then, I hope that all the work on the room will be completed and there won't be any workmen in the way. 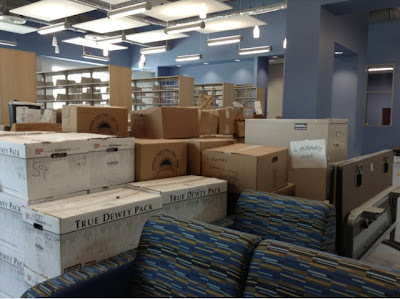 The new library is looking pretty awesome. If you need any help unpacking I would love to come and help since I live like less than 5 minutes away! Let me know! Wow a new library!! I remember doing that and was so excited!